Marshmallow Easter Peeps - pro or con? Our winner will be selected from the numbered comments on this post on Thursday, 3/17. Be sure to check back on Thursday evening to see if you are our lucky winner. I'm not a fan of Peeps, but hubby loves them. Now that Peeps are out for every holiday, he gets them year round. Fun blog hop! I saw some amazing creations using the Spring ribbon pack. I have never been a fan of peeps. Didn't like them when I was kid even. No biting the ears off of those for me. Fab hop as always and not sure what marsmallow peeps are , guess we don't have them in the UK either that or we call them something else or I've been hiding under a rock so can't say yay or nay but they sound a bit sickly and as I don't have a sweet tooth it would probably be no way. No to Peeps on every level possible. Thank you for the contest and good luck to everyone! I love Peeps, as does my 36yr old son. I bought him some for Christmas, in the shape of a tree, and he said their just not the same. The Easter Peeps are the only way to go. Me....i'lll take them anytime! The hop was fantastic! Lovely creations by all DT members and the ribbon is stunning on each - these ladies know how to blend the ribbons to fit their decor - thanks for the hop - and now on to the PEEPS - Not a fan - I know my Pastor loves them - but I am not a fan of the sugary marshmallow Peeps - bring on the Chocolate! That's my story and I am sticking to it! Have a blessed week! Original Peeps are yummy! I like the yellow birds only. Not the bunnies and none of the colors, other than yellow. I don't mind them to be a little hard, they taste better stale! I never cared for Peeps (the candy) but I sure have seen some cute stamps, die-cuts, etc. that look like Peeps and they're super cute. Thanks for a fun hop. The DT did a super job showing off this month's awesome ribbons. Awesome hop! Gorgeous spring collection of lovely ribbons! I'll pass on the Peeps! Fun to look at and great colors, but I wouldn't eat them! & marshmallows I'm not really a fan but if there's nothing else & I fancy something sweet, they'll do I guess lol. Wonderful blog hop, the designers did a spectacular job, as always. I love marshmallow peeps, I don't care if they are sugary, I love them. It wouldn't be Easter without them. I'm not a lover of Peeps, but they do remind me of springtime. They always bring cuteness to baskets, and my Gr. 1 students always looked forward to them! Now, if you're talking Cadbury mini eggs, that's another story! Peeps are not for me! My kids loved them when they were little! Great hop! Absolutely LOVE the ribbon color combo this month!! Beautiful creations by the whole DT Team!! Not fond of peeps, but I have seen some cute decor items using them !!!! Yes for sure! But they have to be super fresh, nice and squisshy! Not much of a marshmallow fan. But I love the ribbons this month and all the entries. Fantastic hop!!! Not a fan of peeps. 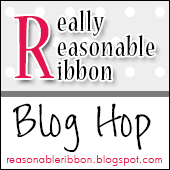 Very nice blog hop with all those gorgeous ribbons. I could maybe eat one or two but I have a son-in-law who loves them. I always buy a box for him for Easter. love the blog hop, lots of great ideas. as far as peeps go - NO! Thanks for sharing. Peeps are not in my culture, I don't know if I like them. Lovely ribbon set and sweet card! No peeps. I say no to most everything except chocolate! wonderful ribbons for spring. I used to like marshmallow peeps but now they taste too sweet for me.